Dr. Philip Motta is a Professor of Biology at the University of South Florida. He received his PhD from the University of Hawaii in Zoology. He served as an instructor at the University British Columbia and faculty of the University of Montana and the University of the Virgin Islands before coming to USF. Professor Motta’s research has been featured in National Geographic, The Discovery Channel, Animal Planet, and The Daily Planet in Canada. Professor Motta is here with us today to tell us about his journey through life and science. 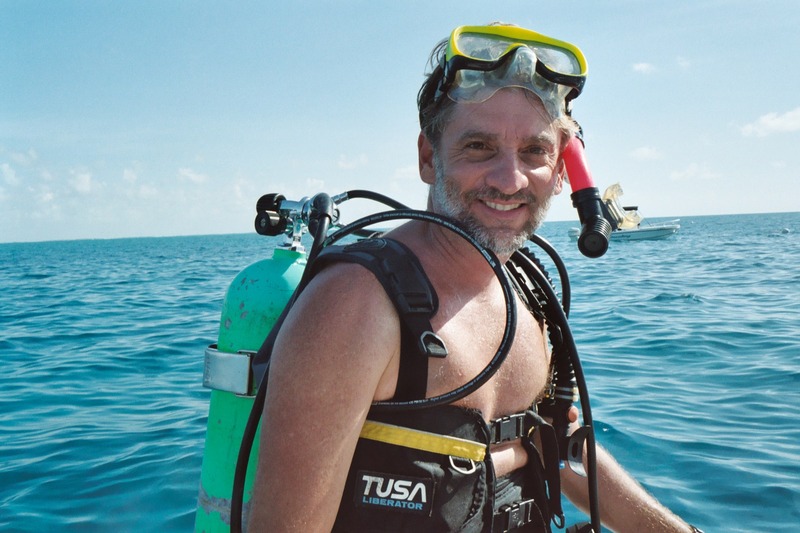 Professor Motta’s research interests are in functional and ecological morphology, and behavior of fishes, particularly as it pertains to feeding. His lab is conducting ecomorphological, anatomical, functional morphological, biomechanical, and behavioral projects involving feeding in bony fishes, sharks, and rays. In addition, past and present research has investigated the anatomy and mechanics of feeding, feeding behavior, and the evolution of feeding mechanisms in fishes. The goal of his current research is an understanding of the comparative functional morphology of the feeding mechanisms in elasmobranchs (sharks, skates and rays), the relationship of functional morphology to their feeding behavior, and the evolution of feeding mechanisms in sharks and rays. Relatively little is known about the function and evolution of feeding mechanisms in elasmobranchs. Together with his graduate students, he utilizes a variety of techniques to understand feeding mechanisms in sharks and rays. These techniques include: anatomical dissection, CT scanning, mechanical modeling, electromyography, high speed digital video photography of captive animals, pressure and bite force measurement, underwater video photography, and evolutionary analyses to unravel historical changes. Professor Motta’s current research investigates various ancestral and derived shark species encompassing many feeding types. They are investigating the relationship of feeding mechanisms and bite force to jaw suspension types, functional specialization for suction feeding, the evolution and biomechanics of shark teeth, and the evolution and functional morphology of the hammerhead cephalofoil. The anatomy and functional morphology of whale shark feeding mechanisms is underway with both laboratory and field research.